This Homeschool Writing Ideas Sitemap has links to the writing pages on my site. how to teach writing strategies with different forms of writing. Download free writing graphic organizers and E-books written to be integrated language arts lesson plans based on literature and Fables lesson plans. Writing is the vehicle which God used to bring His Words to our ears. It is also the way in which we can interact with others- near and far. The world has become so close through the internet, and to avoid mis-understanding, we must write clearly; We must be able to persuade; to encourage; to respond to news and editorials; to critically analyse information; to add information; to lead and guide others. 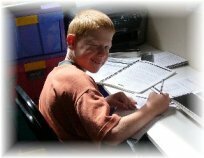 How you go about teaching homeschool writing to your children in your home is completely your decision. Use this page as a springboard of ideas and methods of teaching writing skills to your family without the stress! Steps 9 & 10 - Teaching Creative Writing - these steps focus on teaching creative writing with a focus on style and using different forms of writing. How will you develop these skills in your homeschool writing curriculum? Find out how to teach writing skills with literature. Learning Language arts through literature is using literature as a base to teach handwriting, spelling, writing techniques, grammar and punctuation. This is done by selecting a model of excellent literature and drawing all the aspects of language arts from this. This can be used as a complete homeschool language arts curriculum which you create. It expands the 10 Day Outline you see on the right. You can use any literary excerpts to create a language arts lesson plan. 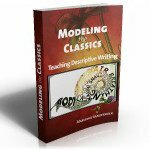 Modeling the Classics is an E-book using a simple, integrated approach to use literature as the basis of language arts lesson Plans - one book for multi-ages covering all the language arts! This is what the integrated language arts lesson plans (which I describe above) look like in reality. 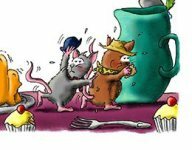 How do you use Aesop's Fables as a base of a language arts lesson plan? 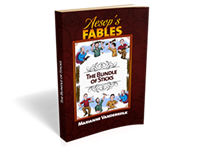 Read the step by step way in which you can use any Fable for kids and create fables lesson plans around it. All the above steps deal with how to teach writing mechanics. It is also important to know how to teach Forms of Writing. Different writing forms have different purposes and giving children a writing strategy when they approach these different forms will build confident writers. As they experiment and learn various writing strategies, they can find the type of writing in which they can shine. Writing is fun and exciting, a way to explore words, and inspire others. By teaching different forms of writing, the child can experiment with letter writing, poetry, play-writing, advertising, essays and so on. List of Writing Forms here. Graphic Organizers are a great way to organize your thoughts in preparation to write. Who are examples and good models of Trust? Use this homeschool printable on Character Models of Trust to collate your ideas from your reading. Narration Page with Drawing Box Printable. Use this over and over again for different subjects. -stories, narrations of science, history, literature.Space for a picture to be added. Lines with dotted thirds to keep handwriting neatly proportioned. Narrative Outline free homeschooling worksheet used to list the 5W's and H of a narrative (Who, When, Where, Why, What and How), the Resolution and Conclusion and use these story elements to create the child's own narrative. Story Map printable to express a story in chronological order. Looking at a big list of Writing Forms can be overwhelming and it is easy to be daunted by something which "someone" says we should cover. So, how do we go about making the decision of what we want to include in our homeschool writing curriculum and when? Want to design your own homeschool writing curriculum? Keep reading here. Paradigm Online Writing Assistant A complete curriculum to walk the writer through the details of all phases of writing essays, including organization, revision, editing, documentation of sources, and specific instruction in how to write informal, thesis/support, argumentative, and exploratory essays. You'll find many useful free homeschooling resources here. List of tens by Traci is a huge site offering writing ideas from grammar exercises, writing style exercises, writing prompts and far more - organized into lists of 10 ideas. I'm really impressed with the layout and amount of games and interactive activities offered by Vocabulary / Spelling City; It covers Elementary, Middle, and High School Vocabulary, Spelling, Writing, Parts of Speech, Handwriting, Alphabetical Order. Much of the content is free, but you can become a premium user for a minimal amount per family per year. Free SAT and Vocabulary games from Sheppard Software - an amazing selection across the ages. This is the easiest way to memorize grammar definitions. We love these songs and they have catchy and memorable tunes and lyrics. Sing along and cover homeschool music and grammar together! Read more about Learning through songs here. Winston Grammar is an incremental, multisensory approach to understanding grammar. With the use of colour coded cards, the homeschool grammar program teaches the functions of parts of speech incrementally - one step at a time. Read my Winston Grammar review here. KISS Grammar A top quality Grammar Program. You will need to find your way around the site, but you can print off whole workbooks. I have enjoyed using their methodology and worksheets for years. This truly is an amazing free homeschooling resource. Online Grammar and Writing Handbook - filled with Grammar and Writing Lessons. Daily Grammar Lessons sent to your email box Monday to Friday for free. Saturday is a quiz. Or you can access the lessons through their archives. 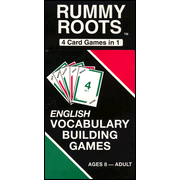 The great part about the vocabulary game Rummy Roots, is that you can learn 42 different Greek and Latin roots without a workbook or pen. More about Rummy Root here. How do you develop a love of writing in your children? I know you have a wealth of Writing Strategies to create a love of writing in your children. Share a few gems with us. Do you have a picture which explains your writing idea? 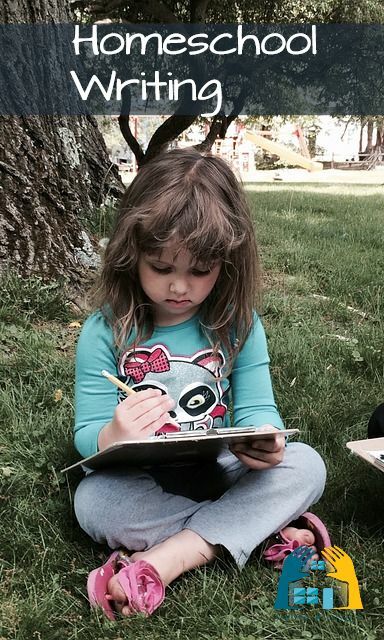 Do you have a photo of your children writing? Great! Click the button and find it on your computer. Then select it. What makes a Language Arts Curriculum?